Lauren Gilbert looks to score. The freshman midfielder and the Wildcats will be up against a tough challenge this weekend. After getting their first taste of ranked competition last week against then-No. 19 Colorado and No. 10 Duke, Northwestern is looking ahead to its matchup against No. 7 USC on Sunday. The No. 13 Wildcats (3-1), who lost to USC last year in overtime, will try to avoid losing back-to-back games. After easily winning their matchup against Colorado on Thursday 15-8, NU lost on the road Sunday against Duke 9-8. Even though they lost, the Cats believe they can beat USC (1-1) by fixing the mistakes that cost them the Duke game. 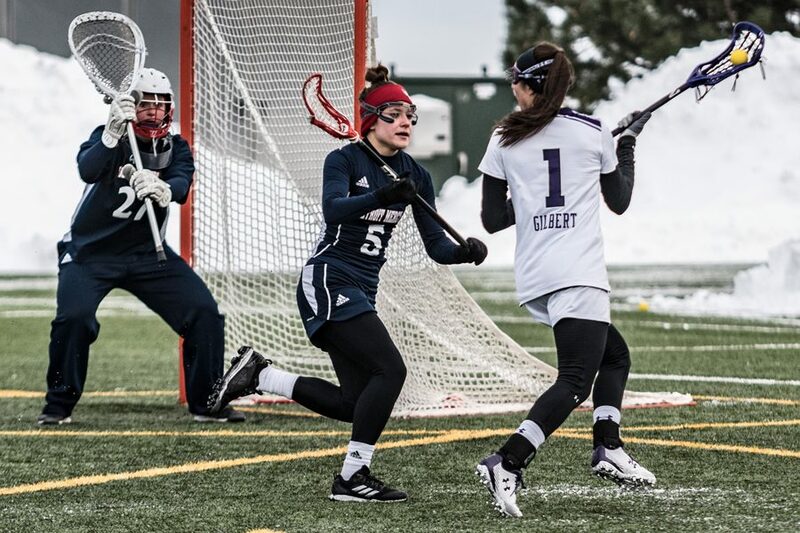 However, junior attacker Selena Lasota said that NU will continue to focus on what has made them successful. Goalkeeper Julie Krupnick said that the Cats will aim to perfect the little details. In particular, they will practice shooting, recovering on defense and draws, a problem that caused them to struggle all weekend. In the contests against the Buffaloes and Blue Devils, NU struggled in the faceoff circle, winning just 18 of 44 draws. The absence of senior attacker Shelby Fredericks has hurt the Cats on draw controls. Fredericks had 165 draw controls last year, setting NU’s single-season record. In last year’s matchup against USC, Fredericks won nine of the Cats’ 16 total draw controls, while USC only controlled seven. Coach Kelly Amonte Hiller said that she is hopeful that Fredericks will be back for the game on Sunday. Regardless of Fredericks’ status, NU will look to find a way to win and defend its home turf. Even though last year’s game against the Trojans was on the road, Lasota said that the Cats won’t change their identity this time, but playing at Martin Stadium will still help them. Amonte Hiller said that there is a specific type of mentality that the team has to have during practice to focus on the details under pressure. She said she knows that the one bad game isn’t indicative of NU or the rest of the season.